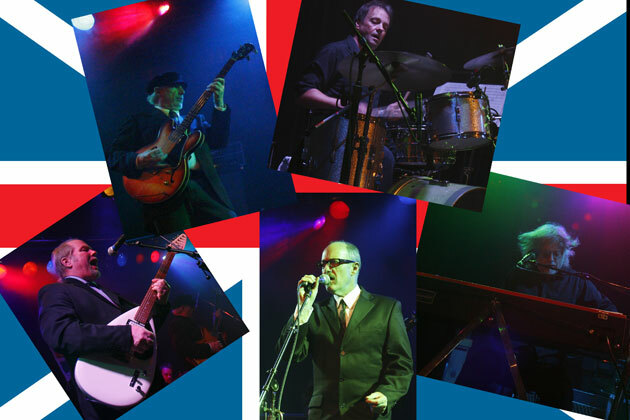 Having excelled at capturing the energy and power of The Yardbirds, The RaveUps are setting their sights on new goals to spread the musical energy captured by the British Invasion of the "60's". Using the same formula and attention to detail Them Raving Animals are the newest addition to the BIN stable. First off, all the guys bought the same vintage instruments that the Animals used. The most important of these was the Vox Continental Organ, key to the Animals sound. Of the original British Invasion bands, the Animals were the most clearly influenced by American R&B rather than blues. With hits like "House of the Rising Sun," "Don't Let Me Be Misunderstood", "We Gotta Get Out of This Place", "It's My Life" and "Don't Bring Me Down", Them Raving Animals bring back the rhythmic blast that Eric Burdon and the Animals put out at live shows. "With the classic sound of the Vox organ, the chimey guitar and 60's bass tones, it's all there." "Hats off to ya'll.. nobody else does The Animals this good : ) "
"I never got to see the real Animals play in America, but these guys got it nailed !" "My wife & I caught your show at Slims when you opened for The RaveUps. Totally blown away !" "I closed my eyes and I was right back in the Mod "60's". "This is the best Animals tribute ... ever !"